Last year I started doing work for the New Conservatory Theatre Center in San Francisco. 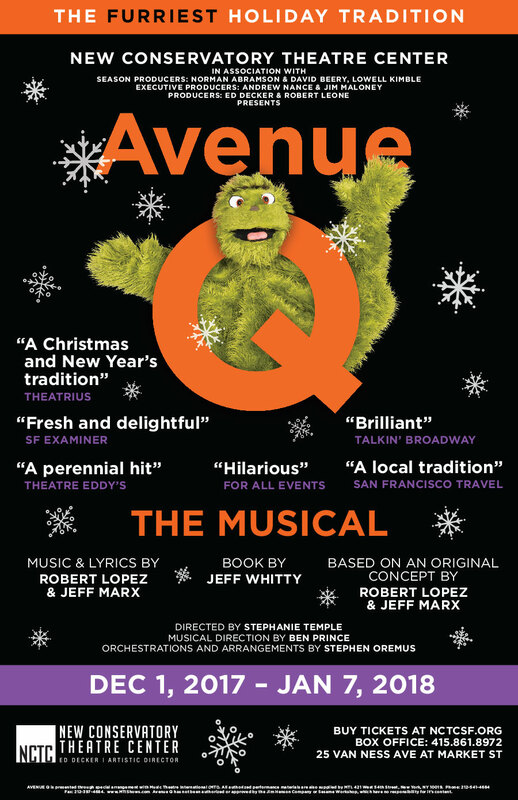 The first project was creating promotional materials for Avenue Q. (The musical is extended through January 22nd; go see it if you can!) The materials include a poster, postcard, various digital ad banners and graphics, and an ad in the MUNI (the San Francisco public transit rail system). All the promotional pieces tie together really well and I'm so thrilled with how it all turned out. See more here. I'm currently working on other shows for the NCTC and look forward to sharing them.